The Dispute Center’s results driven philosophy and method for help your clients reach their credit goals. 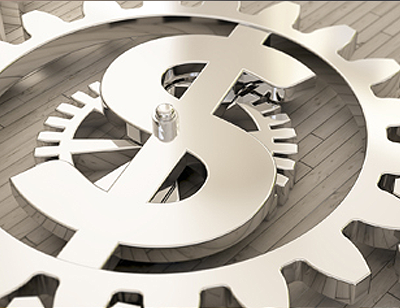 We follow a comprehensive 3-Pronged Strategy to help our mutual clients reach their credit goals. Our philosophy has helped thousands of clients reach their credit goals and obtain the financing and credit they were seeking. It is vital that the client participates, it allows us to complete their program faster, and helps us to maximize their results and credit scores. Client forwards responses received in a timely manner. We achieve better results and complete the program faster if the client forwards the responses they receive. The responses provide vital information for us to formulate our custom responses and it provides vital status updates, such as a deletion/correction notices from a reporting company. 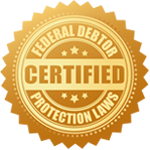 Client stays the course and avoids any additional new derogatory actions, such as, new late payments, new collection accounts, increasing balances with open credit cards, or submits numerous new credit applications. Client has funds available or access to funds to pay/settle any accounts that are deemed verified or validated, and a balance is owed. Client adds positive credit, if necessary, and when appropriate, to boost their credit score beyond any increase already achieved. Step 1: We verify the accuracy of the accounts the client believes are inaccurate and want the accounts to be verified or validated. We verify and validate the accounts with the credit bureaus and the companies that report the accounts. This will delete or correct the accounts found to be inaccurate and erroneous. Step 2: Any derogatory accounts that remain and carry a balance should be paid or settled to better the client’s credit standing. We will provide guidance and coaching to help the client negotiate a reduced pay-off. Once that account is paid, we ensure the account is reporting accurately. It is important the client properly pay/settle an account to protect themselves against future collection activity and to ensure the account is reported properly once it has been paid. In addition to other concerns, it is vital that the client obtain written agreement of the terms and payment amount before any payment is made. We will also provide guidance for a pay for delete agreement, but those arrangements are not always available. Step 3: We recommend credit building strategies and accounts to help increase the client’s credit score. In most cases this is needed due to the lack of positive credit. Removal of negative credit can cause a credit score decrease if there is not sufficient positive credit to replace it. Keep in mind, there is a proper time for the client to add positive credit. If the client has open derogatory accounts with a balance owed, we strongly recommend the client resolve these accounts prior to adding new positive credit; the addition of positive credit can increase the collection and/or legal activity. When the client’s program is complete, their credit file and credit scores will be in their absolute best possible status; provided, they have not contributed to any new or additional derogatory reporting. Call today at (616) 541-2322 to find out more info and pricing. Don’t forget to ask about our business credit building and business funding outsourcing.